MOVING ISN’T JUST ABOUT GETTING STUFF FROM ONE PLACE TO ANOTHER. IT’S ABOUT CREATING A HOME. THAT TAKES HELP FROM INDUSTRIES LIKE YOURS. We connect businesses with homeowners when they are primed to notice your advertising. Our business started with the simple desire to get the best leads to movers and mortgage companies. We blew the competition out of the water with better data and a focus on fresh home sale listings to cultivate the best leads list. 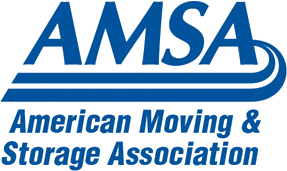 The moving and mortgage companies we served were thrilled with the results. They got bigger jobs and had a healthier ROI. Everyone was happy. Then we realized that other businesses could use our service, too. It’s no surprise that leads generated when a home goes on the market offer many industries a perfectly timed window to find and lock-in future sales. SOME SAY THAT TIMING IS EVERYTHING. Instead of waiting until homeowners are already settled in their new home (and buried in marketing materials), our direct mail clients are perfectly positioned to capture attention when homeowners are looking for service providers who can help them turn new residences into cozy castles (or take on last minute fixes for properties on the market). Give MovingLeads.com a try and see for yourself.